On the weekend, I sampled two “Summer Ales” that couldn’t have more different backgrounds. My brother had muled a couple of cans of Narragansett Summer Ale (and a great pint glass) from the US for me. I then spotted a rarity in Aldi – a single bottle of Storm Brewing’s Summer Dayze (TM) Ale – from their “Artisan Collection” and their “Handcrafted Collection”. I say rare because when it comes to beer normally all Aldi will let you buy is a six pack at minimum. Narragansett comes from Rhode Island. It was a dominant brand in New England in the 1890s and early 20th century, but closed down. It has subsequently been revived with a pretty significant nostalgia play. The flagship Narragansett Lager isn’t even brewed in Rhode Island any more. It was the beer of the Boston Red Sox for over 30 years, so the nostalgia play makes sense. 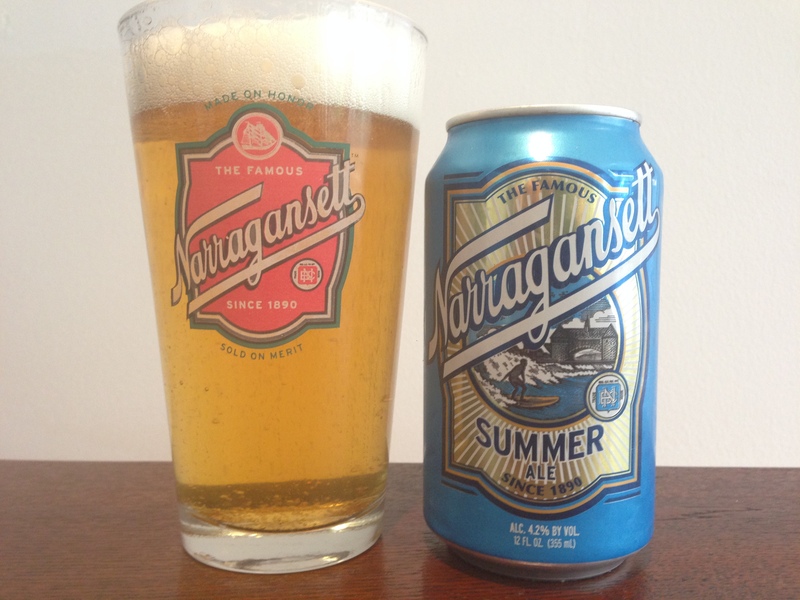 Whilst the first Narragansett Lager was made in 1890, the Summer Ale is a recent innovation and is actually brewed in Rhode Island. It is as sessionable as they come. Whilst on 24 IBUs, there is a pleasant little tang at the end. Definitely case worthy. 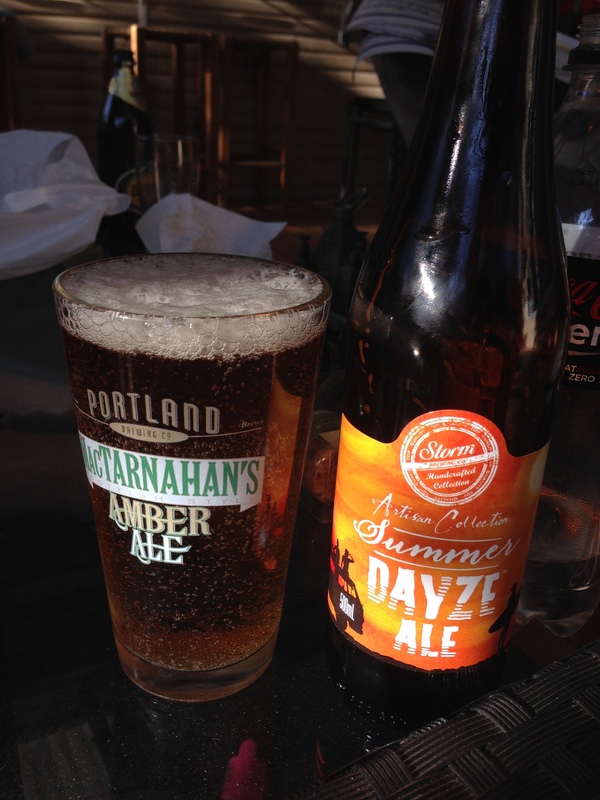 I ripped in to the Summer Dayze (TM) Ale, without looking at the beer label hyperbole. Expecting a mildly hoppy ale, I instead encountered a potpourri of ginger, pineapple and malt. Beer label hyperbole explains that it does indeed contain ginger – but I don’t that they were intending this to be a straight ginger beer. Whatever they intended – just avoid this. Can’t believe they went to the trouble of trademarking “Summer Dayze Ale”. The saddest news of the week was the passing of Lou Reed. He toured a few years ago and performed his Berlin album in Sydney – still kicking myself for not getting off my arse for that one. Naturally, Lou’s been on high rotation at home in the last few days. The last track I heard before Lou’s death was Last Great American Whale (off of New York), which was being played at Frankie’s Pizza. I thought – “I’ve really got to listen to that album again”. Very few artists make classics 20 years apart and it’s a testament to Lou’s durability that New York came out more than 20 years after The Velvet Underground and Nico. New Sensations, with its upbeat songs like Turn to Me and I Love You Suzanne, was an album that was played relentless by me and mates whilst we were at University. I’ll never tire of hearing that dead-pan voice – see ya. Lou.